This is bad news. Very bad news indeed for over 1,000 family members and over 2,000 pets we’ve helped over the past 10 months. Daffy’s has recently learned that, due to the current economic crunch, our warehouse sponsor can no longer afford to help cover our lease expense and we will be faced with the possibility of closing the warehouse by September 1st if other sponsors don’t step forward to assist us. 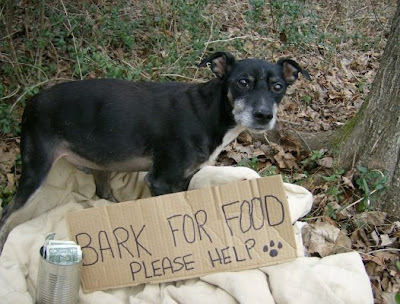 The need for a soup kitchen to provide free food to pets continues to grow. Daffy’s now has multiple locations in eight states, has been contacted by 20 other states to start up, and in Georgia alone, Daffy’s Pet Soup Kitchen serves more than 30 counties. This is all done with the help of volunteers and monetary and food donations. In addition, the initial startup costs and insurance is covered under Daffy’s umbrella; a division of the SOS Club. Daffy’s needs your help now more than ever! Not only will your donation help the Lawrenceville, Georgia warehouse stay open, it will help the locations Georgia-wide and nationwide continue in their efforts. Without our Georgia warehouse we can not supply the other locations and without your help, we may not be able to keep our warehouse open. We currently distribute over 20,000 lbs. of food per month to families in need. Dogs and cats that we now feed will most likely end up in shelters with little hope of adoption. The shelters are overcrowded and animals are being euthanized at an alarming rate…in the state of Georgia alone, 219 animals are put down every single day. We need your help to keep a family member with their family instead of facing abandonment. Imagine a child going off to school and coming home to find the house empty…his beloved pet having been dropped off a shelter because the family couldn’t afford pet food. Times are tough! And these decisions are being made every day. We work very hard to keep families from being forced into making this decision. On Saturday, June 13th Daffy’s Pet Soup Kitchen is holding it’s First Annual Daffy’s Day block party from 12-5 all proceeds will benefit Daffy’s Warehouse Fund. Daffy’s Pet Soup Kitchen is located at 2160 Oakland Industrial Court, Suite 100 in Lawrenceville, GA. Bring the two legged and four legged kids and have a fun filled afternoon with activities, professional pet tips, food and fun for everyone! Professional photographer Heather Cosgrave of Cosgrave Studios will be taking photos. CPR will be demonstrated and folks will have a chance to sign up for future Daffy’s CPR classes. 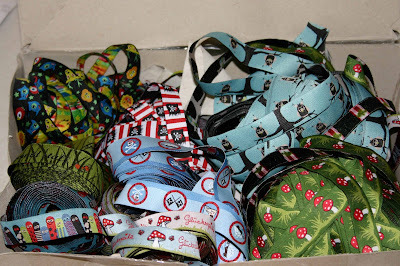 Backyard Sanctuary will be talking about the feral cats program and pet ID Tags will be available for sale. Taj Ma-Hound Bakery and Dogwell/Catswell will be on hand to give out yummy treats. If a block party is not your thing, please consider an online donation at http://www.daffyspetsoupkitchen.com/. All donations are welcome! Even if a little is all you can do; the shame is in not doing anything. Please, donate today. Daffy’s Pet Soup Kitchen is a non-profit 501(c)3 organization that is funded solely by donations and operates because of the kindness of our volunteers. Don’t let one family down. Don’t add one more dog or cat to a maxed out shelter or pound. Don’t let Daffy down! See you at the Daffy’s Day on Saturday, June 13th. For more information please call 404/345-6821 or visit our website at http://www.daffyspetsoupkitchen.com/. We are “Working to Keep Families & Their Pets Together” and thank you for your generosity and for keeping one more family together. 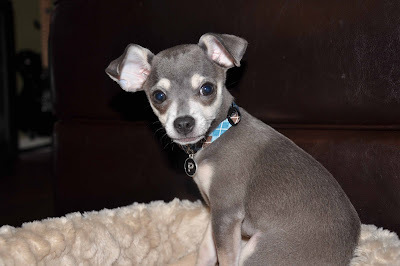 More About Pedro: Pedro's owners adopted him after months of looking online for a cute chihuahua. They went the same day they saw him online, right after work and fell in love. Pedros favorite things: He loves to chew on socks and eat turkey pepperoni. He is notorious for getting the puppy zooms at 9pm. 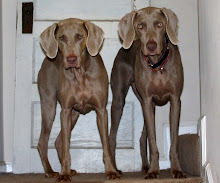 Would you like your dog to be "The Mod Dog of the Month" and a chance to win a free collar?